Bryan Zwan is the founder of Digial Lightwave, a Clearwater, Florida company that has been involved in several scandals resulting in lawsuits and SEC action. Details can be found at digl-watch.info. Zwan's problems stem directly from his involvement in the Church of Scientology, a notoriously abusive cult group. At the height of Zwan's problems he was employing Denise Miscavige Licciardi in a management capacity. 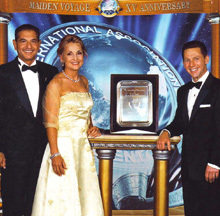 The photo at left shows Bryan and June Zwan posing with David Miscavige, "Chairman of the Board" of Religious Technology Center, leader of the Scientology cult, and brother of Denise. 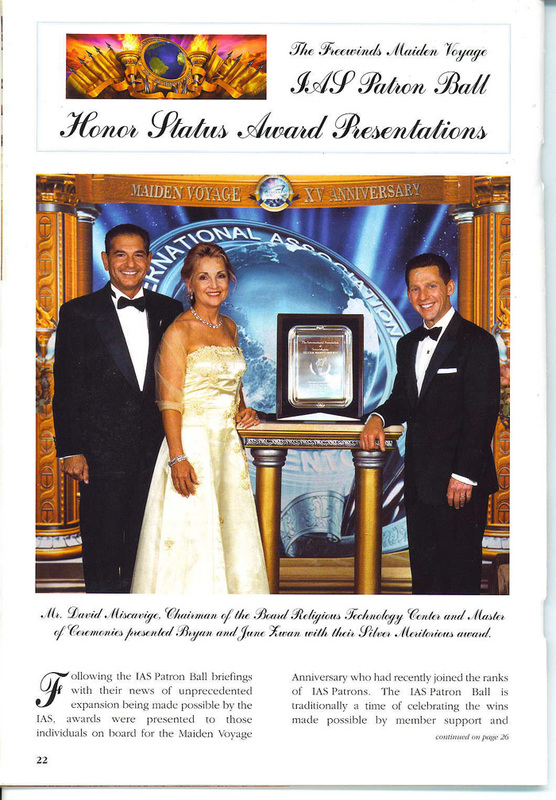 The Zwans are being presented with the IAS (International Association of Scientologists) Silver Meritorious Award, given to members who have contributed more than $750,000 to the cult's war chest. Photo source: Scientology's Impact Magazine, issue 105, September 2003, page 22. You can also view the full page.